Richard Spratley has been involved in the construction industry for over 20 years and his company, Rockwell, is recognized as an accomplished development company with a good reputation built up from many years of satisfied customer recommendations. With a proven track record of reliability, professionalism and quality, Rockwell has developed a diverse portfolio through commercial and residential sectors. 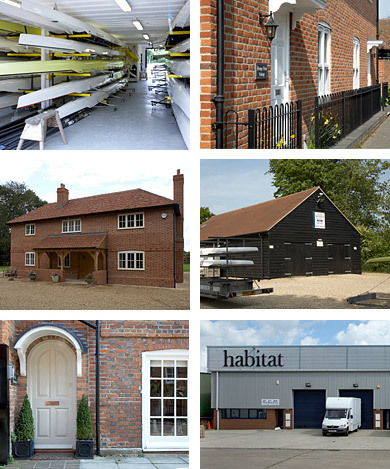 As a result the company has considerable experience in ‘one-off’ homes as well as commercial property development with the expertise, knowledge and skill to provide clients with a comprehensive bespoke professional service. Rowing has been central to Richard’s life since school and his achievements as coach at Oxford Brookes University since 1991 are remarkable. Over the years Richard’s dedication, drive and talent have nurtured many skilful crews. In 2000 three Brookes’ students were amongst the gold medal winning crew of the British Men’s Eight and by 2008 seven athletes from Brookes’ represented Great Britain in Beijing winning three silver and one gold medal. Within his time at Brookes the university has achieved a record twenty three wins at Henley Royal Regatta. Richards coaching approach has transformed rowing on a national scale and this enthusiasm is reflected in his construction business, Rockwell.